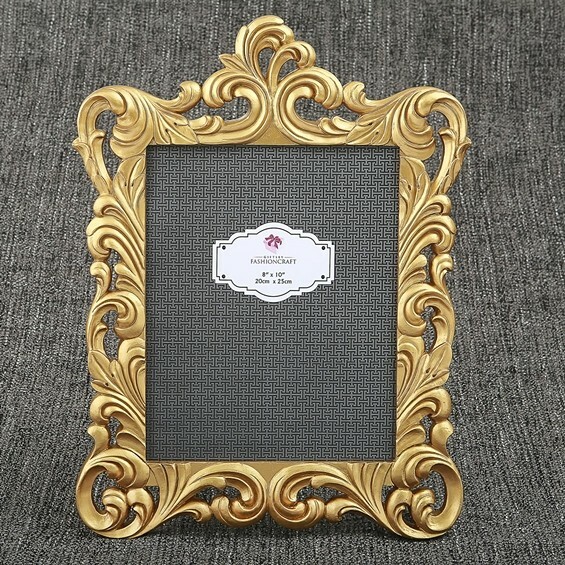 Display your special photo in a stunning baroque style frame, which features ornate swirls and twirls that will delight the eye with their opulent gold metallic finish. The frame is crafted from poly-resin and features a lavish openwork border. It holds a standard 8 x 10 vertical photo behind a glass front window. The frame has a velvet easel backing which is hinged for easy insertion of the photo. Each comes packaged in a white box.